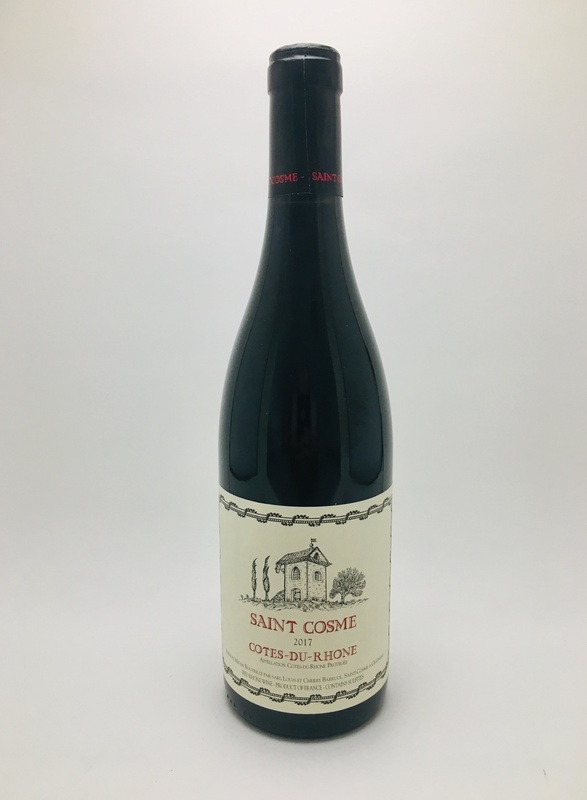 Château de Saint Cosme, Côtes du Rhône Red 2017 - City Vino, Inc. This Syrah grows in ideal terroirs of the southern Rhône and shows the varietal’s typical spicy notes of sandalwood, violets, and black pepper. Hints of plum, blackberry, and licorice.